NBC Chicago and Ward Room bring you profiles on the 18 wards heading into a runoff election April 7. 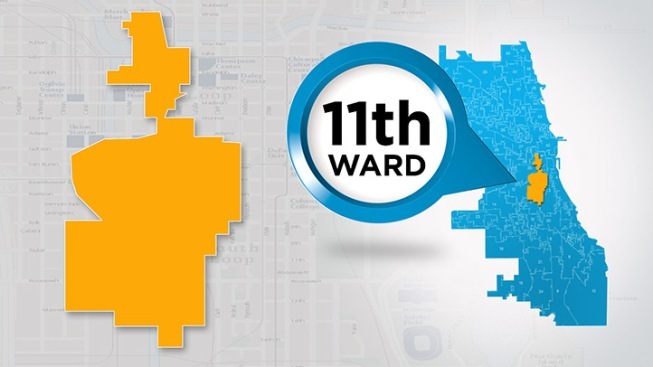 In this profile, learn all about the 11th Ward. An 11th Ward aldermanic candidate forum Jan. 25 focused on questions concerning the quality of public schools, an elected or appointed school board, aldermanic representation of the diversity of the ward, public safety, city services, noise pollution from a proposed heliport in Bridgeport, public transportation and constituency accessibility to the alderman. How Ward Typically Votes: James Balcer has been alderman of the 11th ward for 17 years, but he is retiring this year. In 2007, Balcer won 79 percent of the vote, defeating Carl Segvich. In 2011, Balcer won 61 percent of the vote, defeating John Kozlar (22 percent) and Segvich (16 percent). An interesting note about Bridgeport, which is contained in the 11th ward: Five Chicago mayors are from this neighborhood (Edward Joseph Kelly, Martin H. Kennelly, Richard J. Daley, Michael A. Bilandic and Richard M. Daley).